Get free home phone service and/or free cellular phone service! For over two years, I've been using a free Google Voice phone number with an OBIHAI OBi200 phone adapter for our home "landline" phone service (since October 2014). The service and voice quality has been flawless. If you want a free home phone phone number and service and you've got a high speed internet connection at home (we have Cox Cable internet service), then the OBi200 coupled with a Google Voice number really does provide reliable, high quality, free home phone service. For the past five months, I've been using another free Google Voice phone number with the Google Hangouts app (and a FreedomPop LTE sim that provides free AT&T LTE cellular data) and I've had free cellular phone service. With a free Google Voice phone number and the Hangouts app (and Hangouts dialer app) you can send and received texts and voice calls over wifi and over cellular data. 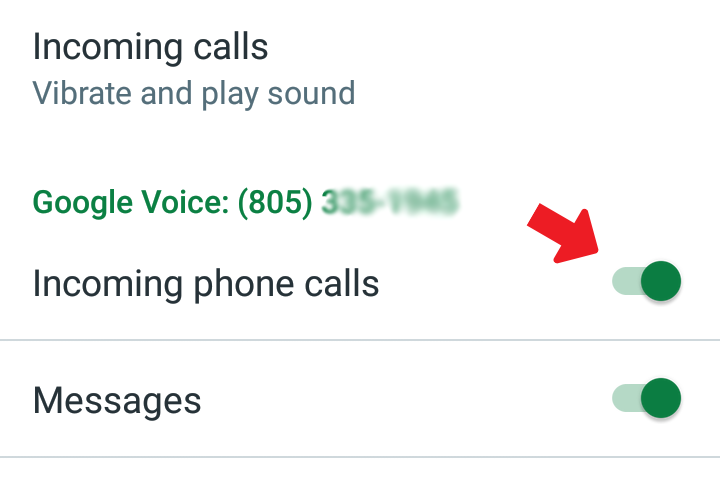 Having a Google Voice phone number is free, and it includes free calling to almost all US phone numbers, as well as free texts (both sms and mms). It also includes free voicemail, and Google will transcribe your voice mail messages (change them to words) and text them to you (you can also listen to your voicemail messages as well, of course). If you haven't tried Google Voice, it really is amazing. 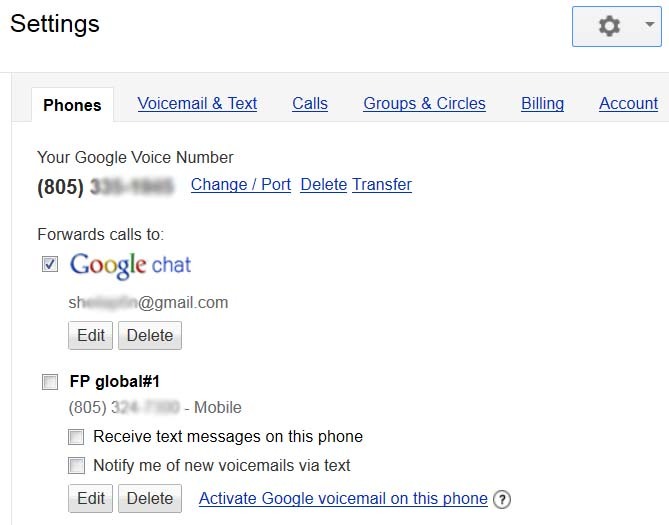 Finally, you can forward your Google Voice number to multiple devices. If someone calls your Google Voice number, you can have it ring your home phone, your cell phone, your computer, another cell phone, etc. To have your Google Voice number ring on your cell phone, you can either forward it to your cell phone number, or you can use the Hangouts app to receive and send calls and texts. To get a free Google Voice phone number, you need to be in the United States, and to get a local number, Google must have a rate center in your local area. As far as I know, they have rate centers in and can provide numbers for the vast majority of locations in the US. You will also need to have an existing phone number. You need an existing phone number that Google can call with a verification code that you will need to verify your Google Voice account when you first set it up. Also, if you want to record a personalized voice mail greeting message, you will need a phone number that you can call from (you can't use Hangouts or your Google Voice number to recorder a voicemail greeting). I was able to use my FreedomPop GSM sim phone number both to receive the verification code, and to record a personalized voice mail message. STEP 2. Either click "Create account" to create a new Google (Gmail) account, OR if you already have a Google (Gmail) account and you want to add a Google Voice phone number to it, you can sign into that Google account. A Google account can only have one Google Voice number associated with it. STEP 3. To create a new Google account, you will need to (a) Enter a First and Last name, (b) Choose your username (Must be between 6 and 30 characters. You can use letters, numbers, and periods. ), (c) Enter a password, and (d) Enter a birthdate. Your username will also be your new gmail email address. Click NEXT STEP, and you will get a message that says, "Welcome! Your new email address is ######@gmail.com Thanks for creating a Google Account. Use it to subscribe to channels on YouTube, video chat for free, save favorite places on Maps, and lots more." STEP 4. Click "Continue to Google Voice." STEP 6. Next you will see a screen that says, "Set up your Google Voice number. 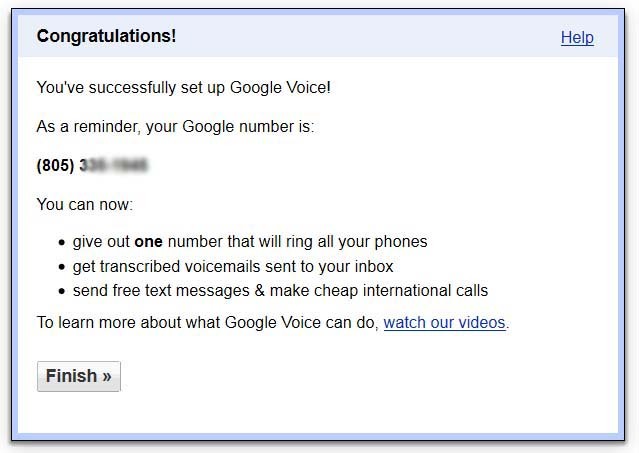 You can choose a brand new number from Google or use your existing mobile number to get the full set of Google Voice features, like: one number that rings all your phones, online voicemail with transcriptions, sent to you by email or text, custom greetings and call blocking, and much more" Select "I want a new number". STEP 7. Next you will see a screen that says "Add a forwarding phone. 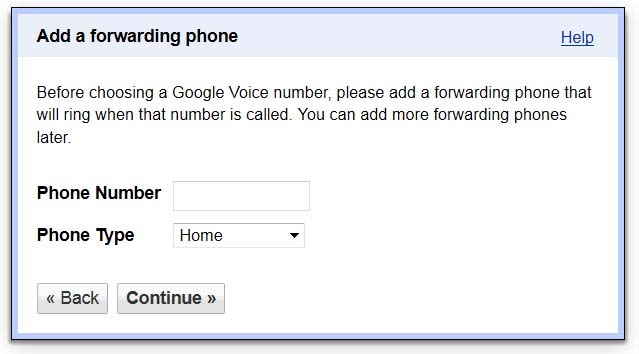 Before choosing a Google Voice number, please add a forwarding phone that will ring when that number is called. You can add more forwarding phones later." YOU MUST ENTER A VALID FUNCTIONING PHONE NUMBER. Google will call this phone number and you will need to key in a two digit verification code. Note: Although Google says that you can't use a VOIP phone number, I used one of my FreedomPop GLOBAL sim phone numbers and it worked. I have read other people who have also had success getting a new Google Voice number using their FreedomPop GSM sim phone number. I've also read of some people who reported it didn't work, but I'm not sure if it was because of the FreedomPop phone number or something else. If you need a phone number to get a Google Voice phone number, consider spending $1.99 to get a FreedomPop LTE GSM sim and use the FreedomPop phone number. You will need to install and use the FreedomPop Messaging app to use the FreedomPop phone number as I explain in my LTE sim review. STEP 8. Next you will see a screen that says, "Verify your phone. We're going to call you at [your phone number] to verify your phone. Click Call me now below and enter the following verification code:" Select "Call me now." STEP 9. After you've received the call from Google, heard the automated voice tell you the two digit code, and then entered the verification number, your account is verified and you get to choose your new Google Voice number. 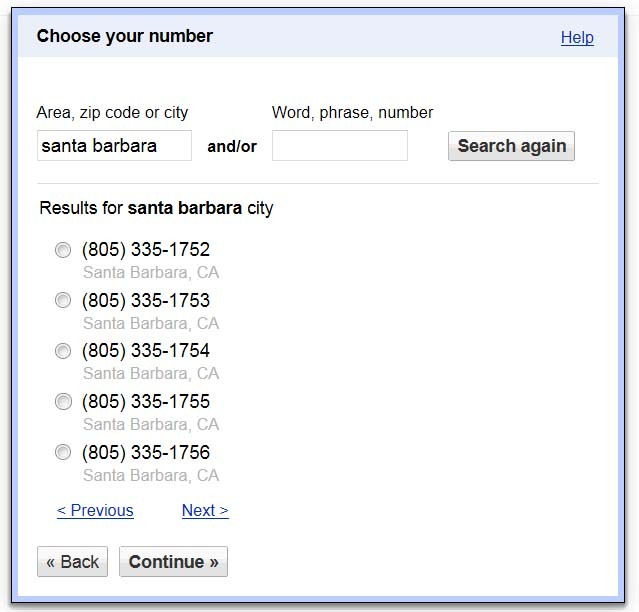 You can find a new number based on your area code, your zip code, your city, and or a word, phrase, or number. STEP 10. The next screen will give you a selection of available numbers based on your criteria. Pick one of the numbers. STEP 11. You have now created a new Google Voice number. STEP 12. Now you can log into your Google Voice account. note: Google Voice just changed to a new format for accounts. I still use the old format, and this guide is written based on the old format. To get to the old format, on the main screen, click the three horizontal bars icon in the upper left corner to access the main menu. Then scroll down and click on "Legacy Google Voice". To Access Settings: To access your Google Voice settings, click the Gear Cog icon in the upper right hand corner, and then select settings. Google Chat: On the settings page (shown in the picture above), you will see a box for Google Chat. Google Chat is used for Obihai OBi hardware VoIP adapters (we have an OBi200 for our "home" landline phone). The Chat setting is used to enable forwarding to OBi devices. If you are using an OBIHAI OBi phone adapter (i.e. for home phone service) you will need "Chat" checked, otherwise, you can ignore it. As far as I know, unless you are using an OBi device, it doesn't matter if Google chat is checked or not checked. Below the Google Chat setting, you should see your forwarding phone. In my case it (see the picture above) I used a free FreedomPop Global GSM sim phone number. If you check this box, calls and texts to your Google voice number will be forwarded to this number. In my case, I'm using the Hangouts app to send and receive calls and texts, so I have unchecked the box since I do not what calls forwarded to my number. I'm using Hangouts instead. TIP: You can use the same phone number for two different Google Voice numbers if you set up one as your "home" and the other as "work". To record a personalized voicemail greeting, click on "Voicemail & Text", then "Record a New Greeting". You will be asked to give your new greeting a name, and then Google will call your phone. Answer the call and follow the prompts to record your greeting. You can't call your Google Voice number to record a greeting, instead you must call a non-Google-Voice number to record a greeting. 1. If you already have the Hangouts app on your phone (the icon is the single white quotation make on a green background shown above), check to make sure you have the latest version (update), or if you don't already have it on your phone, download and install the Hangouts app. When you first open up the app, you should be prompted to log into your Google Voice account (using the Gmail email account associated with it). 2. To make and receive phone calls, you will need to download and install the Hangouts Dialer app. After you install the dialer, you may need to open the dialer and make one phone call. After that, you can make your phone calls directly from the Hangout app. With the dialer installed, when you open Hangouts, you will see a text message tab on the left and a phone tab on the right. You can toggle back and forth between the two, and you will see your text history under the text tab, and your recent calls under the dialer. 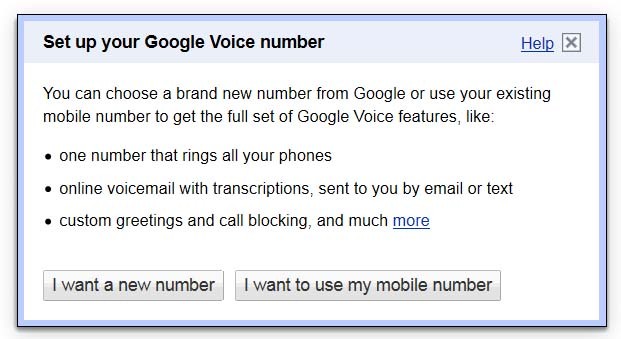 Note that you must be signed into a google voice account to be able to make calls. 3. 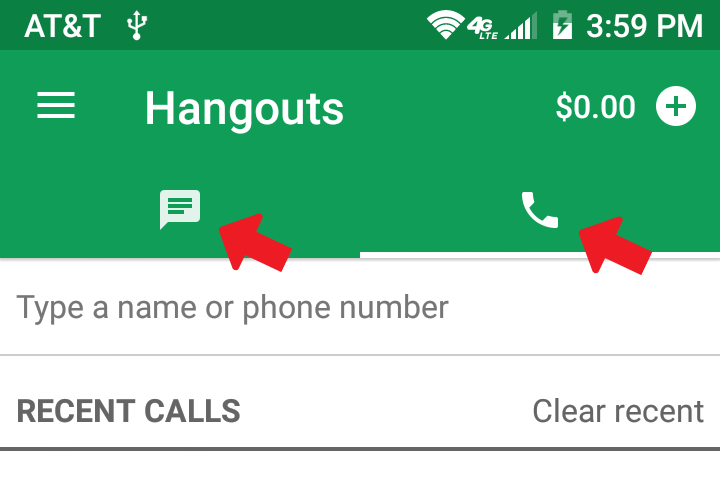 To have Hangouts ring for incoming calls: Under Hangouts > Settings... click on your Google Voice account. You will need to turn on the setting for "incoming phone calls". It is turned OFF by default, and if it is off, Hangouts will not ring when you get an incoming call. This is a very rough first draft, and I intend to update it with more information and hopefully make it as clear and helpful as possible. Many people have commented on my FreedomPop GLOBAL sim review and my FreedomPop Nationwide LTE sim review asking how to set up and use Google Voice and Hangouts, which is why I've put together this guide. If you have any thoughts or suggestions, please leave a comment below! Hi Pete, Thanks for the tip. I'm not familiar with Google Contacts. I'll check it out when I have more time. Sounds like a good suggestion! Any idea on how google's new push to remove SMS from hangouts and require use of their messaging app will affect the usability of google voice for voice or texting through Freedompop? Hi Kenneth, Good question. Hangouts is removing carrier sms capability, but it will still work fine with Google Voice numbers. From Google: "This change does not impact Google Voice users who may continue to use Hangouts for their Google Voice SMS." Removing carrier sms capability means you can't use Hangouts to send a text for a carrier phone number (e.g. for a T-Mobile phone number or a FreedomPop phone number), but if you are using a Google Voice phone number like I am, Hangouts will continue to work just fine. I am reading and re-reading all your guides, people comments, and your answers. Things are coming together for me, but I cannot seem to get straight in my mind how to use hangouts as my SMS app and have it show messages coming from my google voice number. When I type in my recipient it says "sending as unknown number". I have set hangouts as default SMS, but still have FP Messaging on my phone in case I want to use my phone minutes for a few calls, i.e. calls to places I know I will be on hold for a long time. What am I missing in this equation? I want to use hangouts for calls and SMS and have my Google Voice phone number show. Thanks much for your help. Hi Linda, It sounds like a setting issue to me. I'm assuming you've also installed the Hangouts dialer and clicked it to make a call. You also need to make sure you are signed into your Google voice account on the Hangouts app. At some point I remember being asking which number I wanted my calls to be sent from. Maybe that's the first time I used the Hangouts Dialer. You only need to use the dialer app directly once, then it works within the Hangouts app. Please let me know your email address if you have further questions. Thanks! My configuration is the same as yours, as far as I can tell, with FreedomPOP LTE, Blu R1 HD, and Google Voice/Hangouts. Thank you for all of the detailed instruction - it has really helped a lot. And the phone works like a champ. I've even connected it to my car, via Android Auto, and Google Music Player and Google Maps are fully functional. I especially like the navigation, with the maps appearing on the car's screen and the navigational instructions over the car's audio system. Very nice. The only thing I can't get to work is integration of the phone calling and receiving through the car's microphone and speakers. Really, it doesn't even get to that point - the call ends before it ever gets started. This happens both in Android Auto and with vanilla "hands-free" dialing. I'm guessing it has something to do with the data-only nature of the phone's configuration. Just wondering if you (or anyone else) has gotten a Google Voice or FreedomPOP phone to work through their auto's system. Thanks again for all of your help. Hi Phil, Thanks for your comment. Good to hear you are also having success with the FreedomPop LTE sim, the BLU R1 HD smartphone, and Google Voice/Hangouts! Great minds think alike! As for linking your phone to your car and getting the functions you are describing, that is beyond me. We have two cars, a 2003 and a 1994, so neither of our cars has your car's capabilities. It's cool to hear what you are able to do though, and I hope you can get the integrated phone calling to work too, but I have no idea what to do to make it work. It might be related to the voip nature of Google Voice as you suggest. Good luck! Thanks, Steve. Will keep you posted if I discover a magic setting or app to make it all work. I'm convinced most cellphones will be voip in the coming years, so this problem will eventually get solved. Why do you prefer to use Google Voice? Hi Ken, I like having a Google Voice number because it's free. An because it's free, you also don't get stuck with all the associated state and Federal taxes and fees. It also includes a lot of free options, like voicemail, voicemail to text, call forwarding, and more. It's also incredibly portable, as I can access it from any computer or any phone with Hangouts. The phone number isn't tied to a phone or a cellular provider. The only potential downside is that it is not considered a "traditional" phone number, and some people have reported issues using their Google Voice number with certain businesses. I've used a Google Voice phone number for our home phone number with an Obi200 device and I've had free home phone service for three years. The call quality is great, and I'm no longer paying Verizon $30+ a month. I still have to pay Cox for my cable internet connection, but I'd be paying that anyway. I've also been using a different Google Voice phone number for my cell number with the Google Hangouts app and dialer app. To use a Google Voice number on your cell phone, you need to use the Hangouts app and dialer, and you need wifi or cellular data. I'm usually on wifi, and when I'm not, I get free AT&T LTE cellular data with my FreedomPop LTE sim. I also like that I can point my Google Voice number at multiple phones (I seem to be collecting cheap smart phones now). Google Voice might not work for everyone, but I recommend checking it out. After all, it's free so there's no risk to getting a free number and trying it out. PS. Just to clarify: I have a free Google Voice phone number that I use with the Hangouts app. There is also the recently updated Google Voice app, but I haven't tried out the Google Voice app because the Hangouts app works just fine for me and I figure, "if it ain't broke, don't fix it". Google Voice numbers for Hawaii (Area Code 808) are NOT available. Hawaii has a different taxing structure and that is probably why Google does not want to be handing out Hawaii phone numbers. Hi Yvonne, Thanks for reporting this. I did not know. 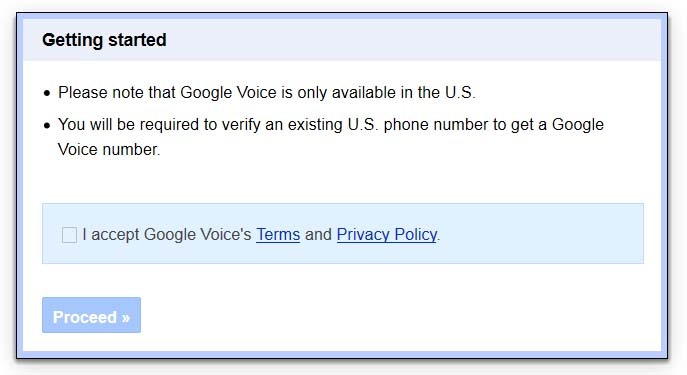 I just searched Google, and found out that (as of 2015) Google Voice numbers are only available for the continental United States. Apparently local phone service in Hawaii and Alaska is more expensive, and Google has decided not to cover it since Google Voice is a free service. I guess that's one of the costs of living in paradise (Hawaii, that is). I would like to have my GV number show up on the phone of the person I'm calling while using the FP minutes (not using data nor wifi but minutes). If you have a SIM from a "regular" carrier this is supposed to work (I have not tried it though since I have never spent a cent on AT&T, Verizon, etc). But FP is a virtual number (not sure about the correct terminology) so even after configuring the GV app properly it doesn't work (the FP number shows up). I found an ugly work around by logging in to GV thru my phone's browser (Chrome, Firefox, etc) and placing a call that way. What GV does in that case is initiate the call thru their server and then it calls you back on your phone's FP number to join your phone with the person you are calling. The person you are calling sees your GV number and FP thinks somebody is calling you and uses the minutes. I hope you can shed some light on this issue. Thanks. Hi James, I think I understand what you are wanting to do... you want to call using the FreedomPop app and FP number to take advantage of the free FP minutes, but you want the person you are calling to see that it is a different phone number calling (e.g. 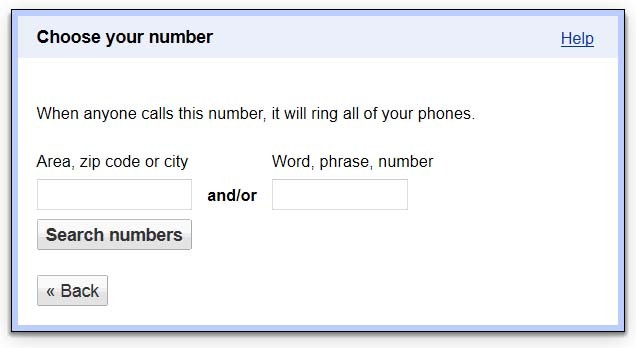 your Google Voice number). I know one can do this with emails, that is, I can tell Yahoo email to put a different "reply to" email on the messages I send. But I did not know that you can do this with phone numbers, and I don't know how one would do this for the FP app specifically. I'm impressed by your "ugly" work-around. But I really don't know how you would do this in an easier manner. It does remind me of the topic of phone number "spoofing", which is now abused by spammers so that people think it is someone else calling instead of a telemarketer. I used to get random missed calls in the middle of the night. When I'd call the number back in the morning, the person said they'd never called. It was because someone else was using their number. My caller ID was showing the spoofed (fake) number, not the real number that called. Anyway, I don't know how to do what you're asking, but it might be even harder to do because of legitimate anti-spoofing measures. Good luck, and let me know if you figure it out! Hello Steve. I decided to go back and do some research on this topic again and found a new app called GVoice Callback. It does exactly what I was looking for. Every call out of the default dialer is intercepted by the app and then routed through my GV account (which then calls me back etc, etc). The reason I was trying so hard not to lose the functionality of going thru my GV account is because I really want my contacts to only ever know my GV number instead of having to know my 5 different SIM numbers. Let me clarify that the ability to display your GV number instead of the carrier's number works out of the box (no callback needed) with "normal" SIM cards which integrate seamlessly with the GV app dialer (you can read more about it in the GV web site). However FP network for whatever reason doesn't play well with the GV app (so I was forced to use my "ugly" callback workaround). Fortunately this new app automates the callback mechanism and allows me to always display my single GV number as well as use my free FP minutes. Let me know what you think if you decide to try it out. Cheers. Hi James, Very cool! Thanks for the followup. I'll check out the GVoice Callback app and try it out when I have time. Thanks for providing this information for other readers. This is a pretty good detailed article. Now I can make and receive calls while I am not in the US too. Helps my business. Thanks much. Appreciate your work. Hi Hamid, Thanks for your comment and feedback! Do you have a comment or question about my guide for getting a free Google Voice phone number and using it with Hangouts?